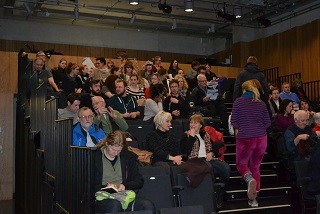 A packed audience attended the launch of the new IWDG/Canola Film Productions documentary on The Humpback Whales of Cape Verde.This film document the last IWDG Expedition to Cape Verde in search of humpbacks in September 2014. IWDG have been visiting the island archipeligo in an attempt to discover the breeding grounds of humpback whales visiting Ireland in the summer and winter periods. 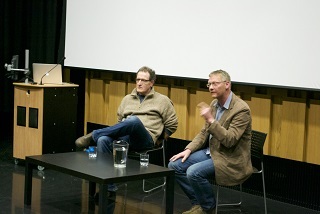 After the launch there was a Q&A answer session with Film Producer Tony Whelan and Simon Berrow of the IWDG. 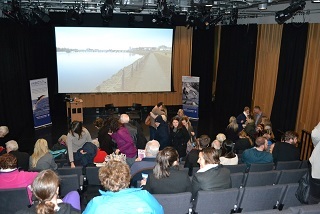 Following this Simon made a short presentation on humpback whales in Ireland to provide context to the film. Many thanks to Marian Keyes of the Lexicon for hosting us in such a lovely space. 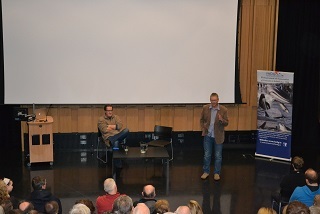 The event and tour has been organised by Isabelle Courtney of Canola Film Productions.